As part of developing new facilities FCC Environment committed to not only protect the existing wildlife and flora of the areas, but to enhance the habitats with the aim of developing biodiversity resources on the sites. Before any work-on site happened at Greatmoor, an Ecological Management Plan was produced. This document identified the existing biodiversity on site, specified mitigation measures required and detailed the necessary improvements to species and habitats. The Greatmoor site was designed to minimise impacts on the existing important species including bats, great crested newts, reptiles, birds and invertebrates, including brown and black hairstreak butterflies. The habitat improvements at Greatmoor include the creation of 35ha of species rich wildflower meadows, 2 new ponds designed as breeding sites for great crested newts and habitat created for hairstreak butterflies. This includes the planting of nearly 9,500 m2 of blackthorn scrub and the filling in of gaps in hedges with tree species including blackthorn. Additionally the intensive management of hedgerows on site has been relaxed, allowing them to become taller and wider, creating better habitats for hairstreaks, birds and foraging bats. Although a smaller facility and set within an existing industrial waste management area, the High Heavens Transfer Station already has a wide variety of native animals calling it home. Red kites are seen regularly above and a variety of other winged locals including pheasants and small garden and woodland birds are seen daily by the team that work there. There are some shyer residents including slow worms and bats that although unseen are also cared for. The management of High Heavens requires working to the Biodiversity Mitigation Plan which sets out how the habitat areas will be looked after to make the best possible environment for the local wildlife to thrive in. So far the team have put in place 20 homes for bats and birds and constructed hibernacula to encourage reptiles. 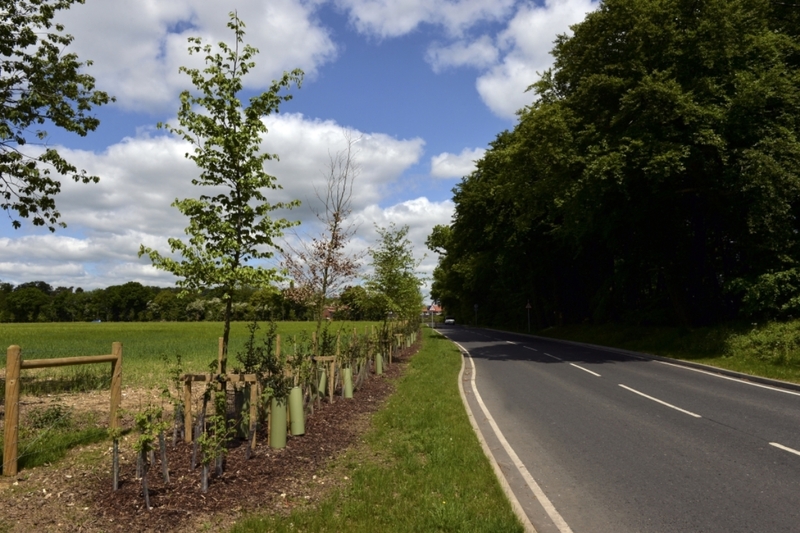 Nearly 4500 trees were planted (some to replace those removed when improving the access road) and specific areas of grass will be managed to be wild areas to provide grass and wildflower cover for those creatures that benefit from that habitat. There will be regular monitoring of the progress of the animals and the success of the enhancements and annual reports will be included on this page with updates of the findings.